SmartView is a versatile business management software application for managing the functions of a Motor Factor or Parts Retailer. 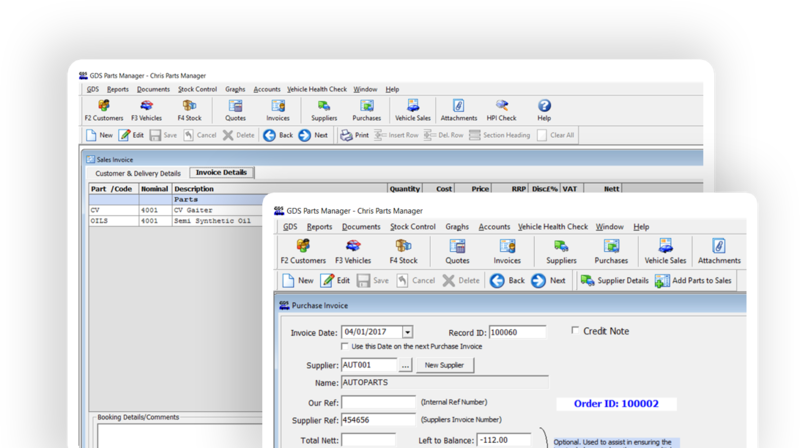 Simple Stock Management for ordering parts for stock and customer orders. Alternative Parts and Supersessions are viewed directly on the invoicing screen. 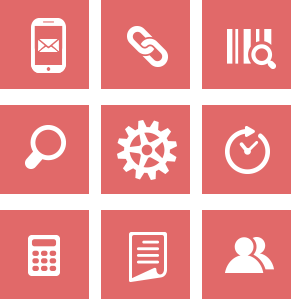 Our system includes estimates that are easily converted to sales invoices. Invoicing is simple and fast. Its flexible approach enables you to create documents using menu priced jobs. Create customer discount matrixes for nett pricing or discount off a supplier or category. 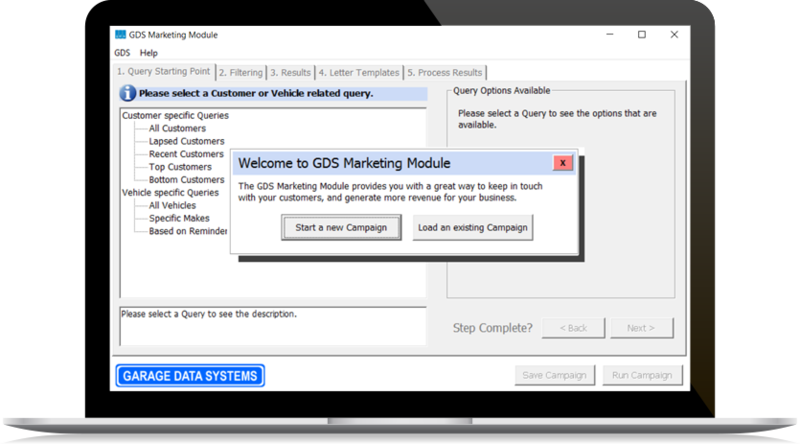 Easily communicate with customers using the marketing module. Marketing campaigns can be created and sent by email, SMS Text or letters. Within minutes a monthly or weekly promotion can be delivered to your customers inbox. A comprehensive link to Sage Instant or Line 50. This is a direct link, no export and import routine required. It will post any combination of sales invoices, purchase invoices and payments. The system automatically pulls through the Customer details once the Customer code is entered. The Invoice Details screen can have lines of detail grouped into relevant sections, such as Parts, Oils, Tyres etc., as required. 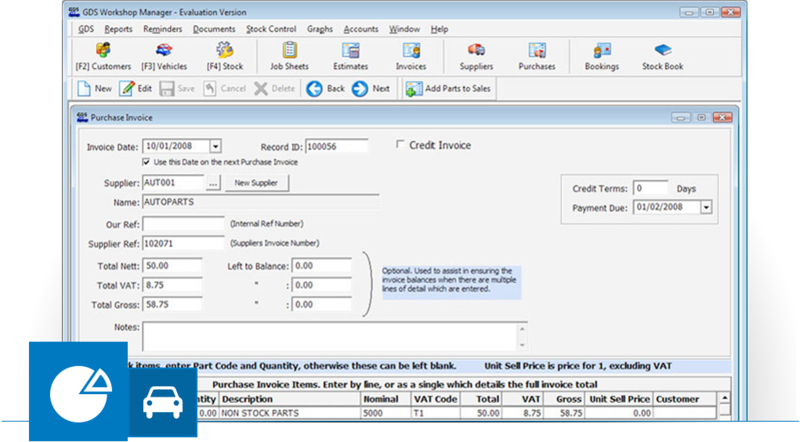 Sections can be created and stored as Menu Jobs to automatically fill in an invoice with often used descriptions, quantities and prices. 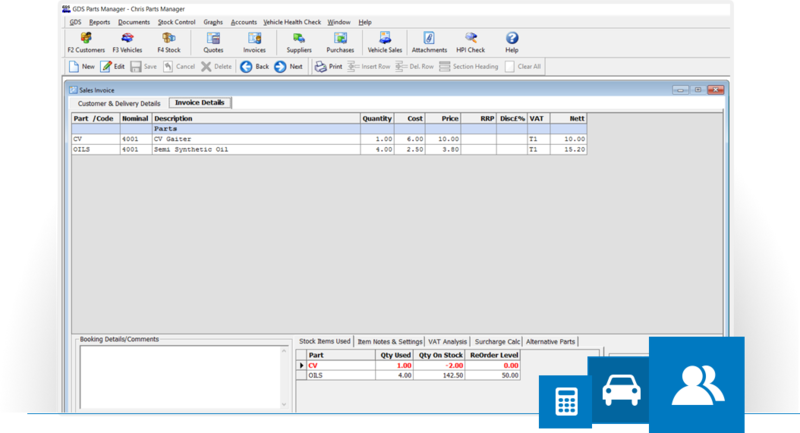 Stock Parts and Detailed VAT & Totals Analysis are displayed at the bottom of the screen.